Kümmel is the German word for "caraway seed" (Carum carvi). 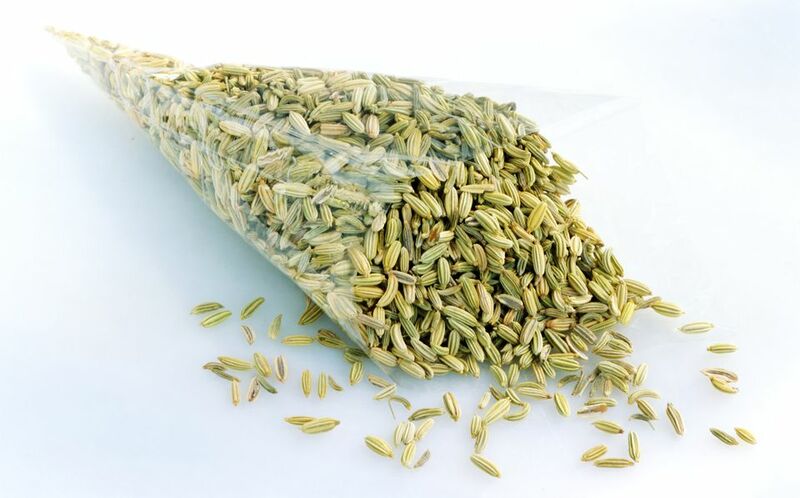 It is more common in the German kitchen than cumin, a look-alike that is very different from caraway but often mistaken for it. Although caraway seed is not native to Germany, it has been widely adapted to German cuisine. Germans use caraway seeds, that have a mild dill/parsley or anise taste, in many different foods, including scads of bread and roll varieties. sauerkraut, sausage, potatoes, cheeses, German Schnapps, and many other dishes. It also has health benefits (it seems to help in digestion). Where Does Kümmel Come From? Caraway, in the Apiaceae family, looks like a carrot plant and has small, light-brown fruits with five, darker brown ridges. A native of Europe, it has been found in 5,000-year-old settlements in Germany, making it one of the original German spices. Most often the seeds are used, although the root may be cooked like parsley root. Pete Taylor, About's Herbs & Spices Expert, says, "While it has such a unique flavor profile, caraway seed is a fairly friendly spice and mixes well with other spices such as coriander, garlic, juniper, and thyme. A mixture of caraway seed with one of these other spices can pair nicely in dishes containing apples, onions, potatoes and root vegetables alike, as well as duck or goose meat." Cathy Wong, ND, Alternative Medicine Expert, says, "Caraway seeds are typically consumed as a food or spice, but caraway oil and caraway seed powder are also sold in dietary supplement form. Some proponents suggest that consuming caraway seeds or caraway supplements can promote weight loss and offer other health benefits."